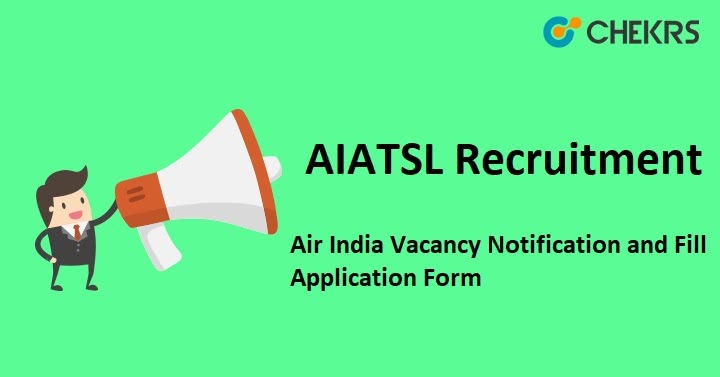 AIATSL Recruitment 2018: The Air India Air Transport Services Limited (AIATSL) has been announced the notification for Security Agent Recruitment. The AIATSL published the AIATSL Recruitment 2018 Notification to fill the 64 vacant seats. Candidates, who are interested in this job, visit our page and fill the AIATSL Application Form through Offline mode. The candidates selection will be based on Walk-in-interview which will be conducted pn 29th and 30th September 2018. In this article, we are providing the AIATSL Security Agent Recruitment 2018 all information such as application process, eligibility criteria, selection process, application fee, examination process and more details. Candidates visit the official website regularly and fill the application form. Download the Application form through the Given Link which is mention in the Table.Dduly filled-in & along with all original Certificates / testimonials / in support of Date of Birth, Educational Qualification, NCC Certificate, Doctor‟s Certificate for height and weight, Caste certificate (for SC/ST/OBC candidates), Discharge Certificate (for ExServicemen), Experience Certificate, if any, and 5 recent passport size photographs. Applicants are required to furnish self-attested copies of all the certificates/testimonials as mentioned above along with application form. Candidates are also required to bring Application Fees in form of Demand Draft. After complete this task, candidates send to the envelope to the postal address which is given below on or before Last Date. Remarks: To receive more updates on AIATSL Recruitment 2018, keep visiting our site www.jobs.chekrs.com. We will provide you the latest alerts on Air Force job post. In the case of any query or review, you can place your valuable comments in the commenting section below. We will revert you in a short while.